Magnetic slider bracket that mounts on the OD and face of the coupling flange. 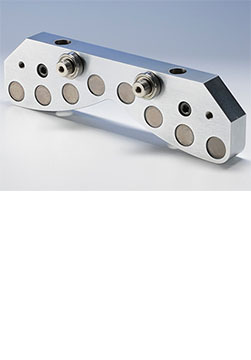 Roller bearings contact the flange OD to allow smooth sliding of the bracket around the flange. Used with either Uncoupled Alignment or Point Mode in the Stealth™ Series lasers.